This video/DVD is all about ministry through dance. Not only will you learn all these concepts, but you’ll sense God’s anointed presence and receive ministry for yourself. Enter in – get involved – have a candid talk time with Pastor Lynn about this cutting edge subject. Elevate your worship dance to a whole new level. Add this to your basket now! You’ll absolutely love this one. 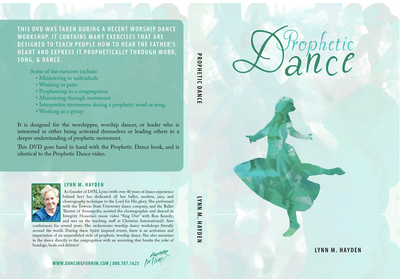 Be sure to also get the Prophetic Dance Book!